SSC Constable 2018 Latest News!!! SSC GD Constable Recruitment 2018 Notification is out on 21st July 2018. Therefore, Staff Selection Commission (SSC) welcomes online applications to fill a huge number of 54953 SSC Constable Vacancies. In addition to this, SSC GD Recruitment 2018-19 is having Constable (GD) Posts Across India. Furthermore, the initial date to apply for SSC Constable GD Recruitment 2018 is from 17th August 2018. However, interested candidates can check the SSC GD Constable 2018 Notification details and SSC Constable Online Apply @ ssc.nic.in on or before 17th September 2018. 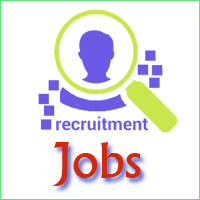 Name of the Recruitment Authority Staff Selection Commission (SSC). Name of the Designation Constable (GD) Posts. Total Number of Vacancies 54953 Jobs. 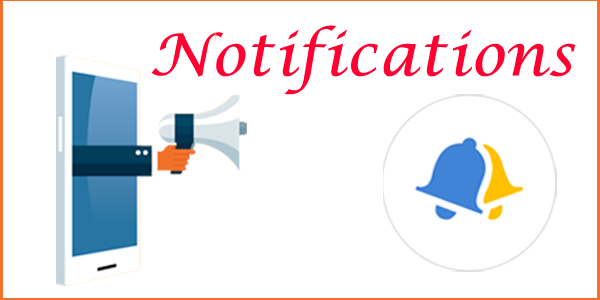 SSC GD Constable Notification Release Date 21st July 2018. Initial Date to SSC GD Apply Online 21st July 2018. 17th August 2018. Closing Date to Submit SSC GD Constable Online Application Form 20th August 2018. 17th September 2018. Admit Card Issue Date Updated Later. SSC Constable Exam Date 2018 Intimate Soon. An opportunity to serve the Nation is a blessing. So, are you in search of Police Govt Jobs where you can solve the problems of the citizens? Then, कर्मचारी चयन आयोग (एसएससी) ने एक विज्ञापन अधिसूचना जारी की है। Furthermore, interested candidates can check the details regarding SSC Delhi Police Constable Recruitment 2018. In addition to this, SSC GD Recruitment 2018-19 is having a large number of 47307 SSC Constable Vacancies (Male) and 7646 Female SSC GD Constable Jobs. SSC GD Constable Latest News!!! However, you can go through the required educational qualifications and age limit criterion of SSC GD 2018 Vacancy. Most noteworthy, the starting date to fill SSC GD Constable Online Application Form is on 17th August 2018. Therefore, willing job seekers can also go through the selection procedure, SSC GD Constable Salary details, important dates, application fees, etc. As a result, SSC GD Constable Apply Online 2018 @ ssc.nic.in before the last date i.e. 17th September 2018. Dear Candidates, SSC GD Constable Notification PDF detailed information is explained on this page. Furthermore, you can verify your proficiency and apply for SSC Constable Vacancy 2018 at SSC Official Website. Competitors must have passed Class 10th Examinations from a recognized Board or Institution with qualifiable marks. Maximum Age Limit – 23 Years. Staff Selection Commission (SSC) has planned to accept job applications starting from 17th August 2018 2018 to 17th September 2018. Therefore, interested intenders can go through the SSC GD Constable Notification 2018 detailed description and apply before the last date. Final Interview Process or Document Verification. How to Apply for SSC GD Recruitment 2018-19? Aspirants can follow the application procedure of SSC GD Constable Exam 2018 mentioned below. In addition, interested and willing contenders are requested for SSC GD Online Apply @ ssc.nic.in from 17th August 2018 to 17th September 2018. Search for SSC GD Constable Notification PDF and download it. Now, go through the eligibility details of SSC GD News and verify your proficiency. Furthermore, If you have satisfied all the essential conditions for SSC GD Constable Recruitment 2018 then click on SSC GD Apply Online link provided below or on official site. Later, fill all the details in SSC GD Constable Online Application and upload your passport size photo. Make a payment of the application fees with the help of available online channels. Also, upload scanned documents or certifications in the prescribed format. After re-checking the filled details, click on Submit button. In conclusion, take a print out of the filled SSC GD Constable Online Form 2018 for future use. SSC GD 2018 Notification Release Date 21st July 2018. Starting Date to SSC Constable Online Apply 21st July 2018. 17th August 2018. Last Date to Submit SSC GD Constable Online Form 2018 20th August 2018. 17th September 2018. Admit Card Release Date Intimate Soon. SSC Constable Exam Date 2018 Updated Later. Intenders are convinced that the content provided above regarding SSC GD Recruitment 2018 is just a glancing matter. Hence, you can also go through SSC GD Constable Recruitment 2018 Notification pdf in case of any queries. However, you are suggested to download SSC GD Constable Notification PDF from the official website or from the link given below. Hence, you can also audit the Employment News for more latest job updates and also make a visit to various categories such as Syllabus, Previous Papers, and Admit Card.